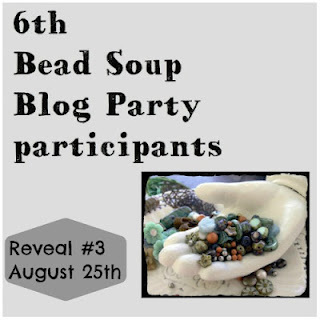 Tomorrow will be the third reveal for Bead Soup Blog Party IV! Here is a list of everyone that will be joining the party tomorrow. Is this the old list Lori sent out because Sarah Goode and me...Terri Gauthier do not appear to be on this list for the third reveal. Poor Lori had to do another updated one. But the red and gold earrings are amazing, I just love them!!! !